Well, at least we go two out of four right! This is something that my husband Mike, and I say to each other often, half jokingly. Two out of four of our kids listen the first time we ask them to do something. 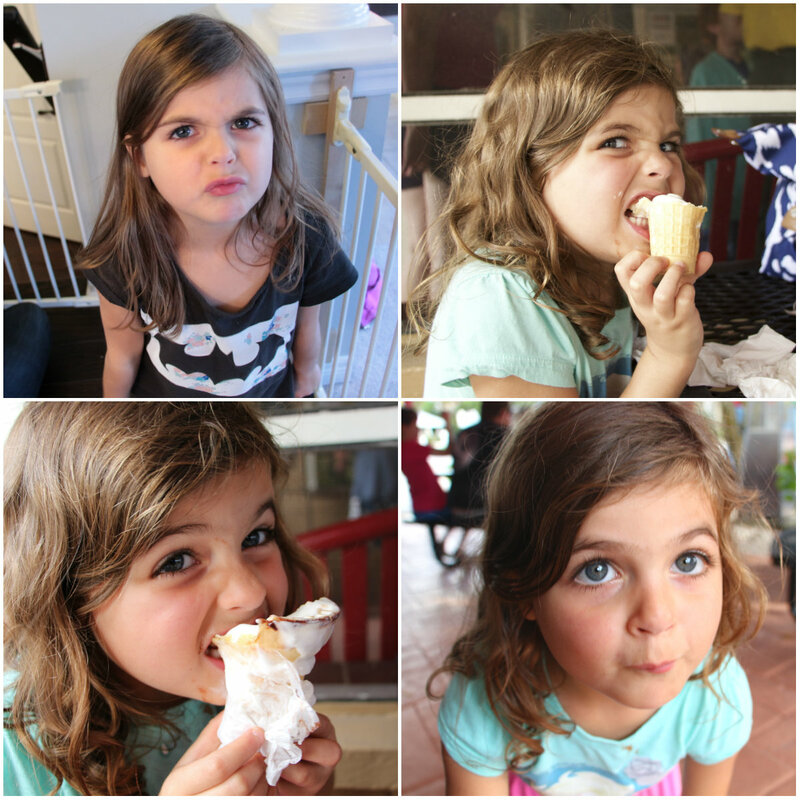 Two of our four kids are not picky eaters. Two of our four kids are generally more content. Is this our faults? It kind of is. We have followed through with our twins really well, and were a bit too soft with our older kids. Okay, okay, I know that there are a lot of other factors at play here, like we were newer parents with our older two. They are OLDER, and with every new phase and age, new obstacles arise. 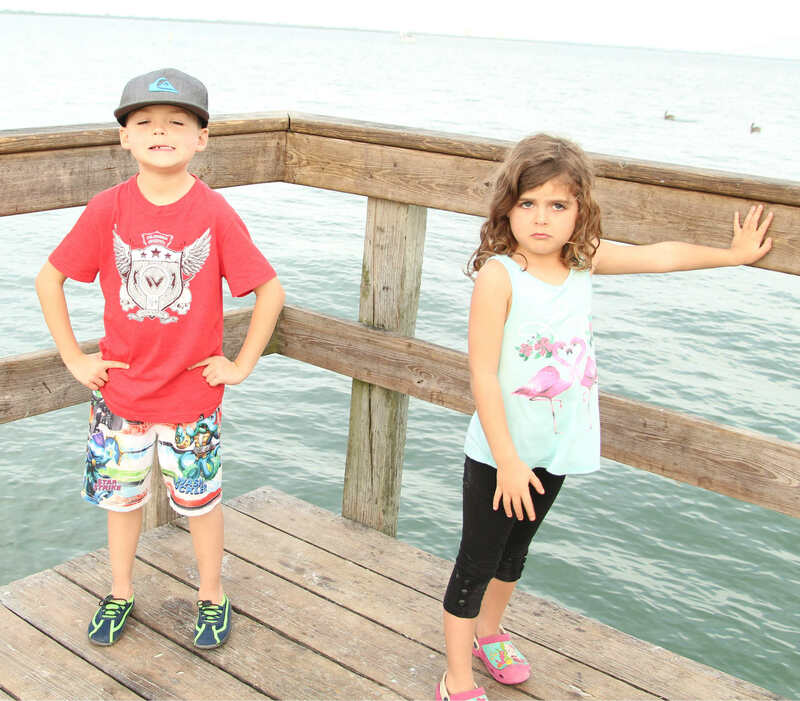 Personalities definitely play a role, and our twins have older siblings to mimic. But I often think to myself, hmmm nature vs nurture… we really could have approached parenting differently in the beginning. 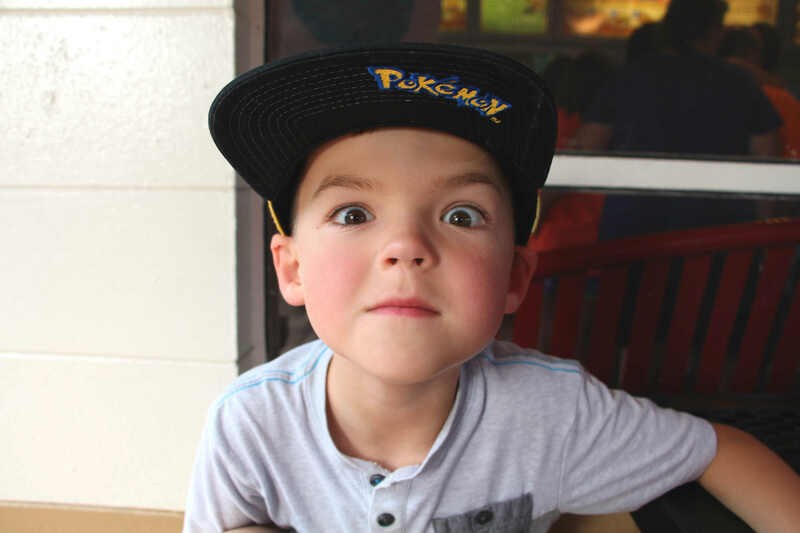 When our son Holden was born, our world revolved around him… too much. If he fussed a little we put the TV on, if he wanted a toy at the store, we usually bought it, if he didn’t like what food was in front of him, we whipped up something else that was usually less nutritious. When Holden got a little older, and we were in a rush, we would do everything for him, including dress him, and not give him much of a chance to be independent. Holden realized he could limit his food to 10 items, have someone dress him everyday and basically run our home, having me race around bowing to his every whine. Beau came soon after Holden and was not only able to ride his wave of ridiculous pampering, but we were so focused on Holden’s moods that we rarely attempted to fix our mistakes. Beau in-turn, had mastered the art of tantrums and destruction. The best way to describe Beau, is she is a FORCE to be reckoned with. 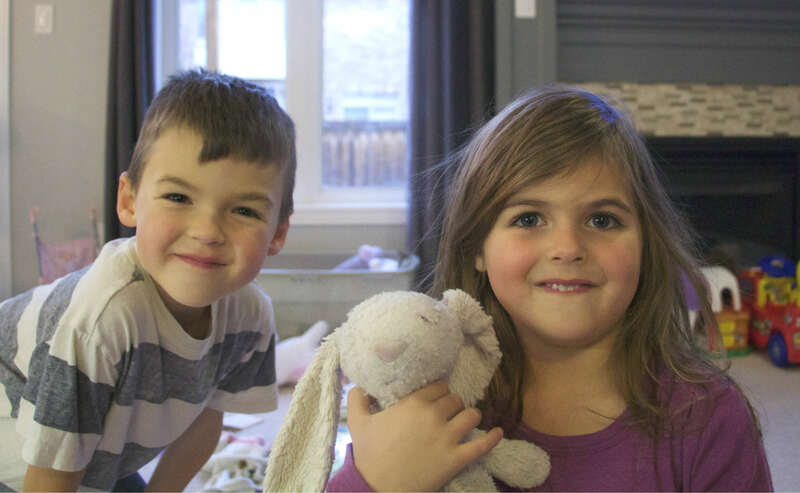 It wasn’t until our twins were born, that we had to change our parenting styles, and it was for the better. You see, when you double the amount of children you have, you just can’t approach parenting the same way. Everyone had to basically fend for themselves more, and be really patient. 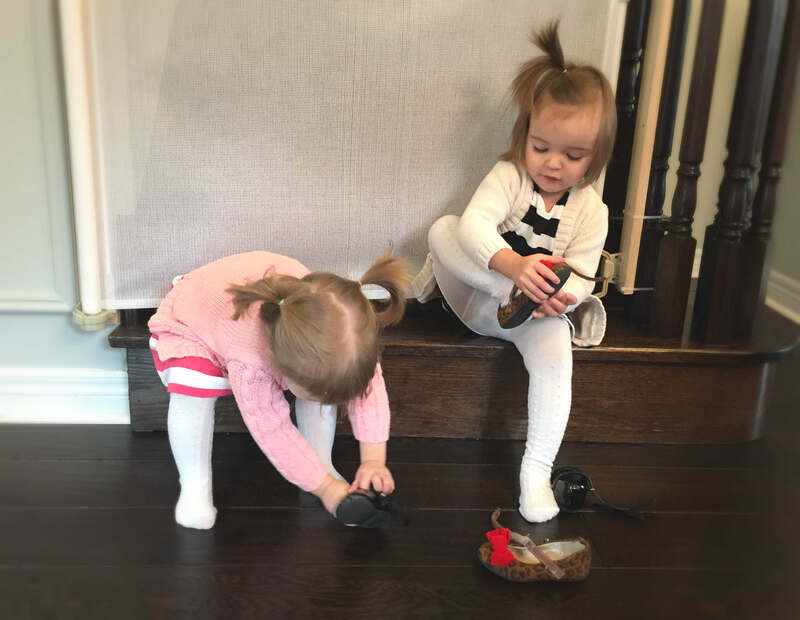 This concept of patience, compliance and obedience is something that Everly and Mia have known since day one. Case in point, the other day I had just finished bathing Mia and Everly, while Mike was hanging out in their room (he’s usually at work when I bath them). 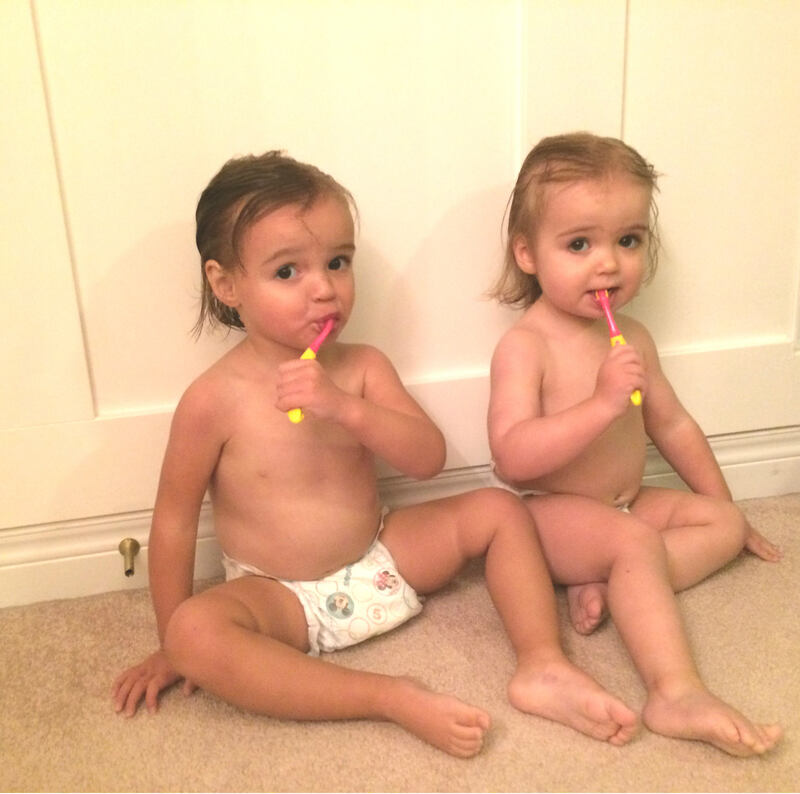 I turned to Mia and Everly and said, “okay, it’s time to brush your teeth.” Without saying anything else, both girls walked over to a specific spot in their room, sat down, and waited patiently for their toothbrushes. Because they know that they aren’t allowed to walk around with their toothbrushes, it isn’t safe. If they try to walk around with it, they loose it. Simple. When Mia and Everly have food placed in front of them, they eat it. When they are bored, they don’t rely on TV, they know that’s a rare treat. They only fuss when they really need something, and they are so proud of themselves whenever they gain some independence. 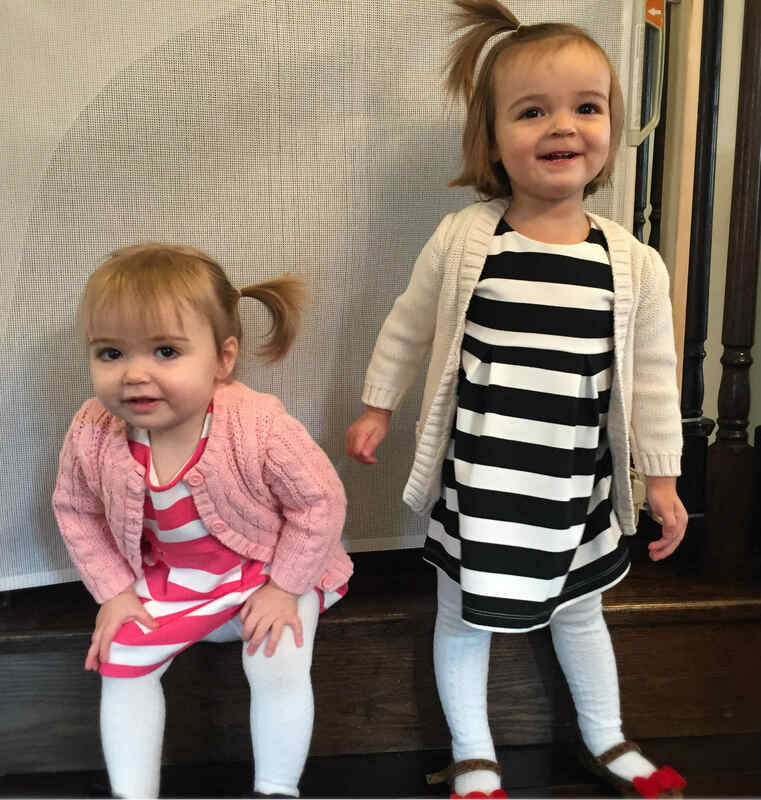 At 18 months old, they have learned how to completely undress themselves and mostly dress themselves. They love cleaning up and understand that it is expected of them, and whenever I give them a little job, they run back for their prize: a high five. Don’t get me wrong, they aren’t robot twins. Mia thinks it’s hilarious to throw her food on the ground, and Everly is going through a hitting phase. But I have set a precedence with them, and rules that I so wish I had done with Holden and Beau. After Mia and Everly joined our family, we really had to turn things around with Holden and Beau. We have been laying down the law, following through and encouraging them to be more independent and responsible. Slowly, we are getting there. Mia and Everly are also helping by setting a great example. Despite Holden and Beau having to learn (along with Mike and I) later in life, they are two pretty awesome kids. Holden is extremely compassionate and Beau always knows how to put a smile on our faces. The two of them have been the most incredible siblings to their twins sisters, in fact, I don’t know what I would do without their help each day. So, Mike and I must have done something right in those early years. Drop the guilt. If there is a lull between reading books and singing songs, don’t feel guilty. Let your child figure out how to play on their own. Don’t always do everything for them. It is tempting when you are trying to get out the door to dress your kid for them. Let them do as much as they can before you help. If your child fusses, don’t rush in and switch their food, or turn on the TV. Let them fuss for a minute. See if they can get over it. When you are shopping, resist giving in to pestering. It is so tempting and can often make that shopping trip a lot easier. But in the long run, they will start expecting that they should get everything they see, each outing. Carve out special routines each day of cuddles, reading books and doing other activities. But make sure there are times each day, (other than when they are napping), that you are cleaning the kitchen, sitting and putting your feet up, or getting other tasks done, while they amuse themselves. We all are trying to do our best to survive. But sometimes, when we put in more effort and exhaust ourselves, we are doing our kids a disservice. Very recognisable. I always think I ‘f*cked up’ the first two. The twins seem so much easier. 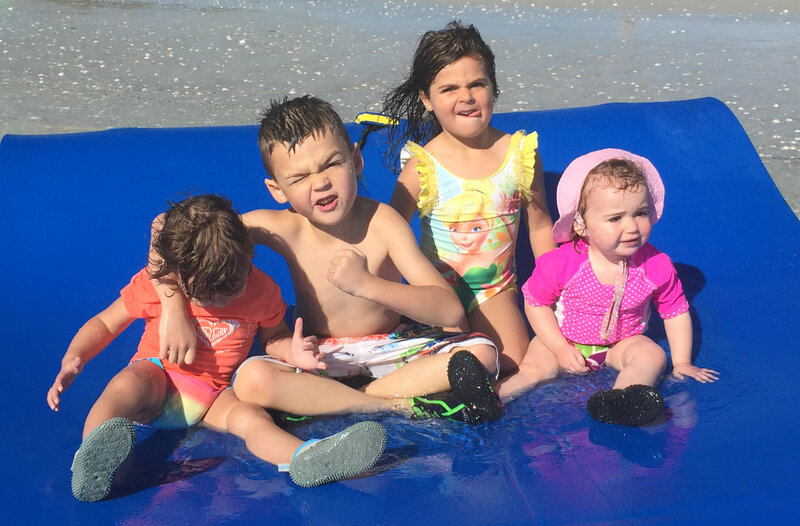 Then again, they have their older siblings to be entertained by… So remember, not everything is our fault (with the first two)!